As Creative-in-Residence at the State Library of Queensland, I help my organisation to create new programmes and partnerships. More often than not, my work explores the line between fiction and lived experience, through events such as zombie battles, time travel adventures, or a burlesque festival. All this came off the back of a pretty eclectic career embracing travel writing, infant teaching, and a PhD on refugees from the Nazis, so I’m used to talking with a wide range of people on a wide range of topics. Right from the start, I wanted humanities practitioners who were following @wethehumanities to think about how they engaged wider communities, and how they made a difference to those communities. I knew I had to practice what I was preaching during my @wethehumanities run, so I decided to start a broad conversation addressing these concerns, bringing together experts from different disciplines and backgrounds. Joining me for interviews and live chats were: Matti Bunzl, anthropologist turned director of the Vienna Museum; Daisy Johnson, librarian, writer, and researcher of literary tourism; Simon Groth of if:book Australia; photographer and heritage researcher Natasha Barrett; and librarian, fan, and scholar of fandom Ludi Price. There was time to joke along the way – from an unexpected Chalet School/Wicker Man crossover to gratuitous MC Hammer references – but the Twitter conversation was also guided by other events. The launch of a State Library of Queensland exhibition of indigenous portraiture, Black Velvet, linked not only to Natasha’s research interests but also a conversation about social media and suicide on the rotating Twitter account@indigenousX, which was then being hosted by Bronwyn Carlson of the University of Wollongong. In the same period, criticism of the representation of indigenous American culture in J.K. Rowling’s new Harry Potter stories and some pointed questions from Media Diversified allowed us to wonder when and how we should address issues of postcolonialism and ethnic identity. The traditional Western humanities, with their assumption of the primacy of European culture, have been waning for some time now – and that’s a great thing, offering hope for a future which listens to many more voices from many more people, places, and cultures. But this also means that the new digital generation of information scientists and librarians need more than ever to be aware of and involved in the current state of “the humanities” – understood as a broad, open, creative, and critical conversation about human existence. Ernesto Priego’s City University postgrad seminar which links information science to critical theory is one example of how we can begin to explore those relationships. And outside of the academy, @wethehumanities looked to the broad, participatory model of Stella Duffy’s Fun Palaces for examples of community engagement which was genuinely dedicated to all. My greatest single takeaway from my time on the account was the link to Bronwyn Carlson via @indigenousX. It was totally unforeseen, and I felt very nervous about addressing the issues via the limited format of Twitter, but the connections we at the State Library have made with her will play a part in our programming decisions for 2017 and beyond. It was testament to the value of taking up the reins of another account, and also of wearing your heart on your sleeve and, however clumsily, talking about your concerns regarding the work we do and the obligations we have when we engage with the arts, humanities, and culture. Above all, I hope that my time on the account encourages scholars to make even more effort to reach out to wider communities. What opportunities do you create for members of the public to have a go at what you do? And to *fall in love* with what you do? And if the library – academic, public, specialist as it may be – is your gateway to all knowledge and culture – what obligations fall on librarians in such a world? The 2016 theme for the State Library of Queensland is Belonging. 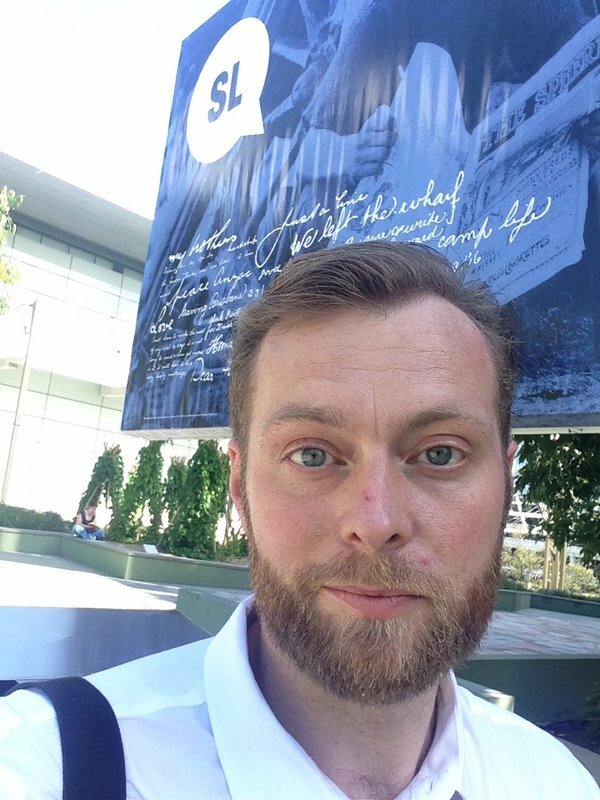 Matt Finch is on Twitter @DrMattFinch and you can follow We the Humanites, @WeTheHumanities – this week Melissa Julian-Jones, Network Facilitator for @VoicesofLaw is curating. For the full story of Matt’s week on We the Humanties, check out the following Storify and this Twitter search, which contains all of Matt’s Tweets plus a few either side. If anyone can improve on either then please get in touch. 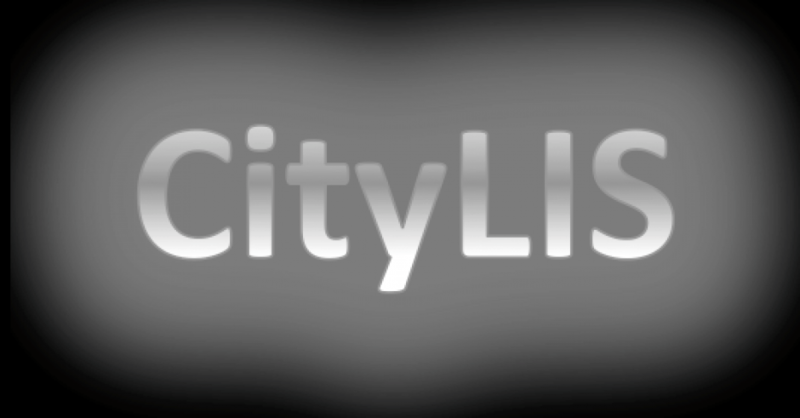 If you would like to study library & information science, find out more about #citylis at our next open evening on 8th June 2016. Book now. This entry was posted in Guest Views and tagged CityLIS, Digital Humanities, fandom, Fans, social media, Twitter, We the Humanities. Bookmark the permalink.